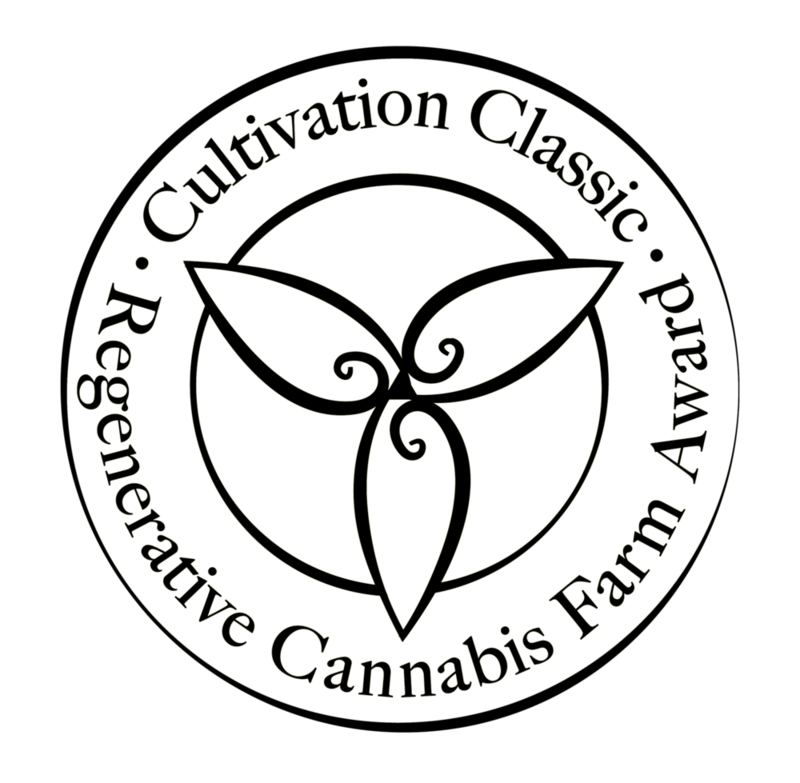 Cultivation Classic 2018, Regenerative Farm Award / The Cultivation Classic continues to forge the path for a new paradigm for cannabis competitions with an aim to honor farms that cultivate to promote environmental health while growing safe, pure, high quality cannabis. The goal of the award is to educate people about what regenerative cultivation techniques are and how they can be adopted to help grow the highest quality, pure medicine that truly expresses the terroir of the farm. Regenerative farming is cultivating in a way that has a healing effect on the environment through developing closed-loop systems. Examples of regenerative practices are proper land management and stewardship, rainwater catchment, groundwater recharge, living soil building, cover cropping, mulching, composting, polyculture, companion planting, and promoting and preserving native biodiversity and wildlife habitat.